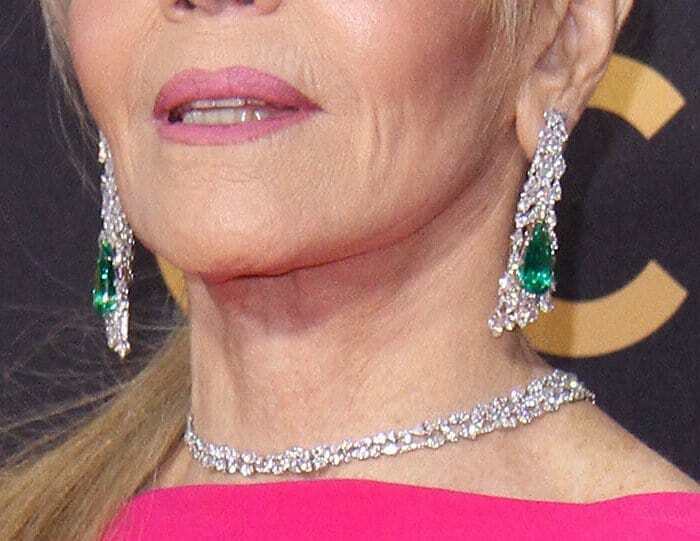 Jane Fonda made quite an entrance on the red carpet as she stunned the crowd in a completely new Ariana Grande-inspired hairdo that made her look almost unrecognizable. The 79-year-old actress typically wears her hair short and feathery but it seems that her stylist was up for something more bold. And this new look definitely worked! The iconic actress opted for a fresh-colored Brandon Maxwell dress to go with her youthful new hairstyle. The hot pink dress featured bell sleeves and a waterfall back design, and a subtle belt detail showed off Jane’s enviably small waist. Jane wore an incredible amount of jewelry from Gismondi 1754 to add a punch of glam to the look. The stunning jewelry set included 40-carat diamond and emerald earrings, a 10-carat emerald ring and a 152-carat emerald and diamond necklace. The gorgeous necklace, which draped beautifully on Jane’s back, has a price tag of $1.75 million. The whole set is valued at more than $2 million! According to a report, the set was meticulously crafted by 10 artisans in Italy and took 600 hours to make. Wow! 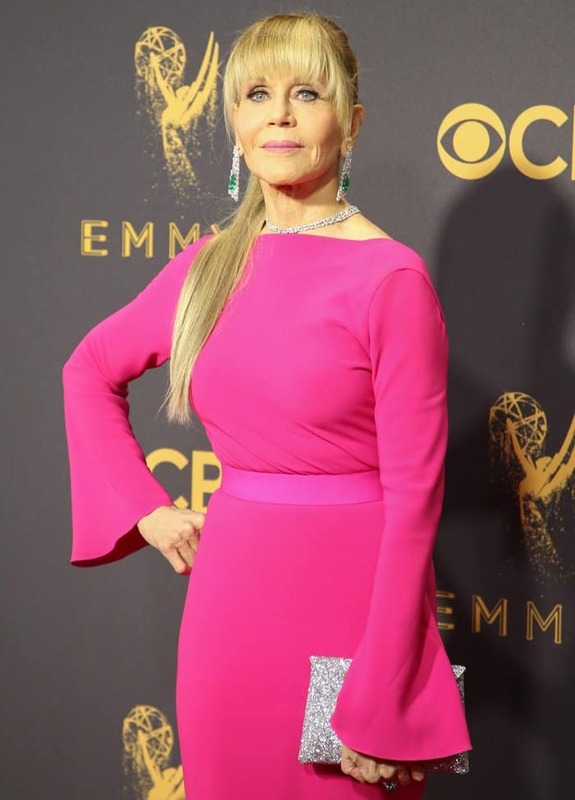 Jane Fonda at the 69th Emmy Awards At The Microsoft Theater In Los Angeles on September 17, 2017. Jane’s Brandon Maxwell gown featured a gorgeous waterfall train and bell sleeves. The total value of Jane’s emerald and diamond jewelry set is over $2 million! Draped beautifully on her back is a Gismondi 1754 diamond and emerald necklace.